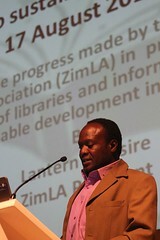 Zimbabwe Library Association President Mr Lantern Fusire. The President highlighted that details of membership can be obtain from the Branch Chairpersons and Branch Treasurers respective constituencies who will be able to receipt your payments immediately. 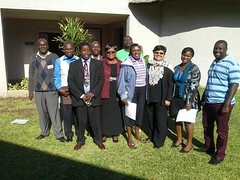 In addition, membership information is also available from the ZimLA website http://www.zimla.org.zw/node/9 . Mr Fusire appealed to interested individuals to take advantage of being the early bird so as to be included on a number of benefits including reduced 49th Zimla Conference registration package. Other benefits are listed on the website include access to ZimLA Newsletter, networking opportunities, and training opportunities.